Exhilarating. Motivating. Fascinating. 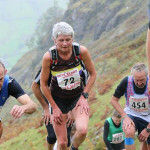 The only way to sum up a day with ultra running legend Nicky Spinks. These are my key take aways, plus my experience of the day. If you like the sound of this, I’d highly recommend booking onto the next course Nicky is running in November. 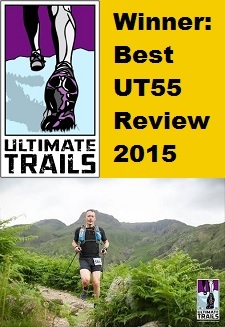 In my fight to beat Lyme Disease, I’d perhaps stupidly signed up the the Ultimate Trails 55km which takes place 27 June 2015. 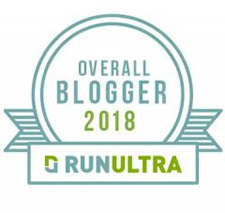 That was borne out of a sense of frustration and a determination to push myself further than I ever had – whether or not I was fully recovered (I’m still a long way off that). I very quickly realised I didn’t have a clue what I was doing. No miles in the legs, no idea of the ultra challenge that lay ahead, nor a training plan. 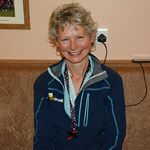 I briefly spoke with fellow Rochdale Harriers member Jill – an excellent ultra runner as her recent interview proved. My luck was in though. Seeing a “Day with Nicky Spinks” advertised I didn’t think twice about signing up. For a very reasonable fee we were going to benefit from Nicky’s vast experience as a multiple mountain record holder. I was pretty nervous before getting there, thinking I’d be the only novice among ultra thoroughbreds. I was wrong – and it wouldn’t have mattered anyway such was the community ethos. As the agenda shows, the day had been well planned – typical for Nicky as I was later to realise! 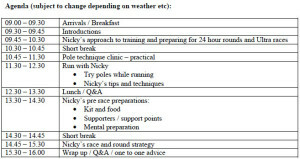 Lots of time built in to ask Nicky questions, to chat with fellow runners and to enjoy some practical time with bits of kit. 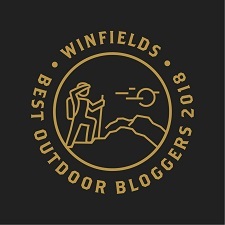 For a start, we were welcomed with freshly cooked bacon butties and fresh drinks 🙂 Everyone briefly introduced themselves and it quickly became apparent the group ranged from total novices (me) to experienced ultra runners. Nicky could not have been more accommodating or pleasant. Here are the key notes from the day. * Don’t be too rigid with your plan. Sometimes you have to see how you feel and just go with it. * Hill training is essential. Get the hills in! Your legs have to be able to climb for some time without stopping. If you live in flat areas, do reps on small hills. 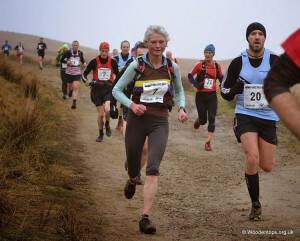 You’ll need to try and do a proper hilly weekend every 4-6 weeks. 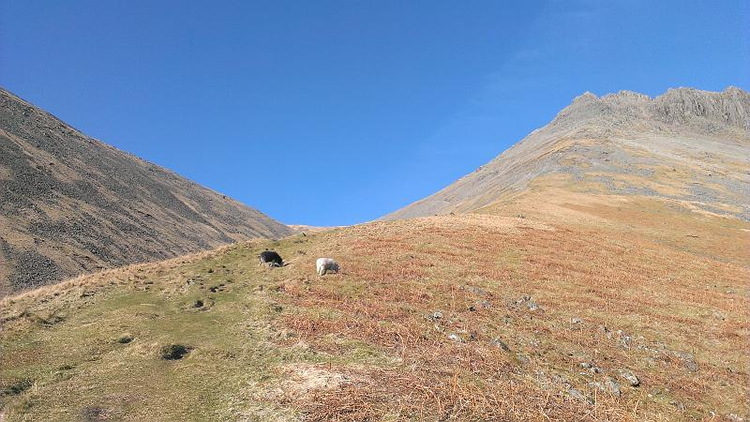 * For a [ahem] short ultra of around 55-60km, do roughly 5-8 hours in an area like the Lakes. 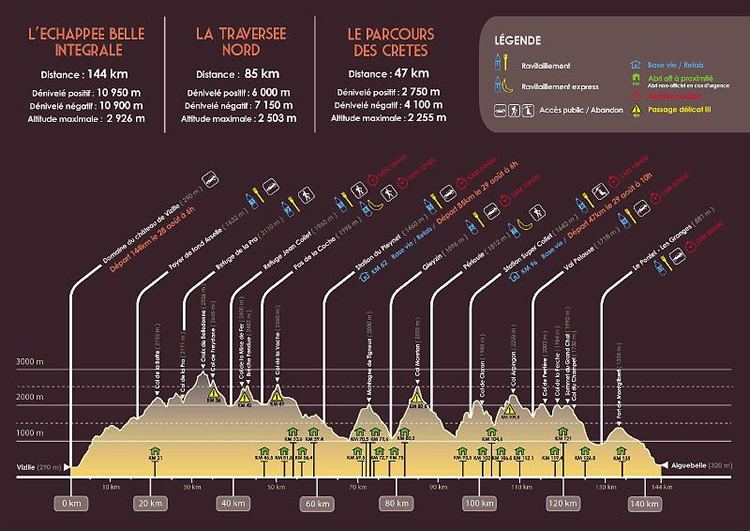 * For a long ultra of 75km-100km+, do 8-9 hours. 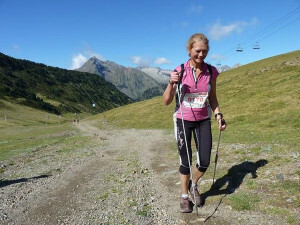 * On any ultra recce, get used to taking it easy on the first downhill. 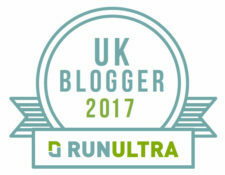 * Walk up hills on any ultra – even if everyone else is running past you. There is a very good chance you’ll pass them later as they bonk due to their earlier excersions! * Walk before you need to. That way you’re recovering and not using important energy which you’ll need later. * Take on food & water as you walk the hills. 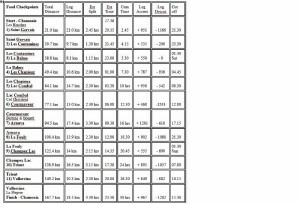 Very efficient way to keep yourself consistently fuelled without costing you lots of time. * A slight gradient you can run carefully. DO NOT run steeper climbs no matter how good you feel. 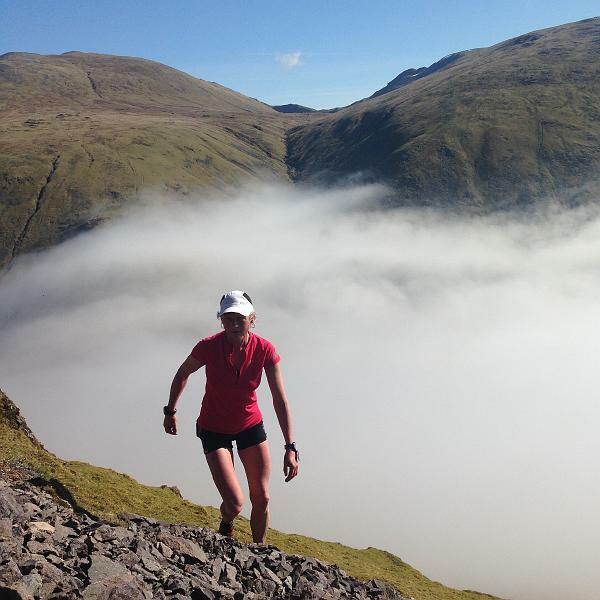 * The BGR is one of the very toughest running challenges in the world. A 66 mile, 27,000 ft circuit of 42 of the highest peaks in the English Lake District within 24 hours. Nicky stressed the importance of massage and stretching. Sports massage is extremely important for ultra training. That includes deep tissue massage (painful!) and light touch. Preventative care of your body in this manner will really help your muscle recovery and help head off any injuries. So Nicky recommended storing the details of at least one excellent local physio. Stretching is vital. For example, really look after your glutes, hamstrings, Iliotibial band (ITB), calfs, hip flexors. Do not forget your core, particularly your upper and lower back. * Immediately get the key route detail, distance, profile, checkpoints, kit required. * Buy maps for your run. Soft laminate them. Number them. Knowing the route, check points, where your food will be etc, relaxes your mind. The route will become more familiar in your mind and help reduce any stress on the day. Nicky writes what food package is to be used at each feed station – and clearly labels what items are in each! These are very useful map providers: BMC, Harvey maps, Splashmaps (already laminated). * Note any cutoff times – again more to reassure you than worrying about whether or not you will make them. * Look and learn from other people’s schedules and actuals. Nicky suggested always getting their post-run report – that way you can really make sense of their actuals. E.g. they may have rested or got lost. 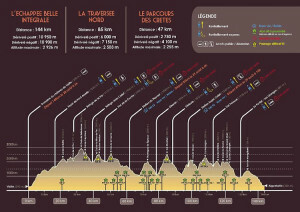 * Look at pictures of the route and any previous staging of the event. 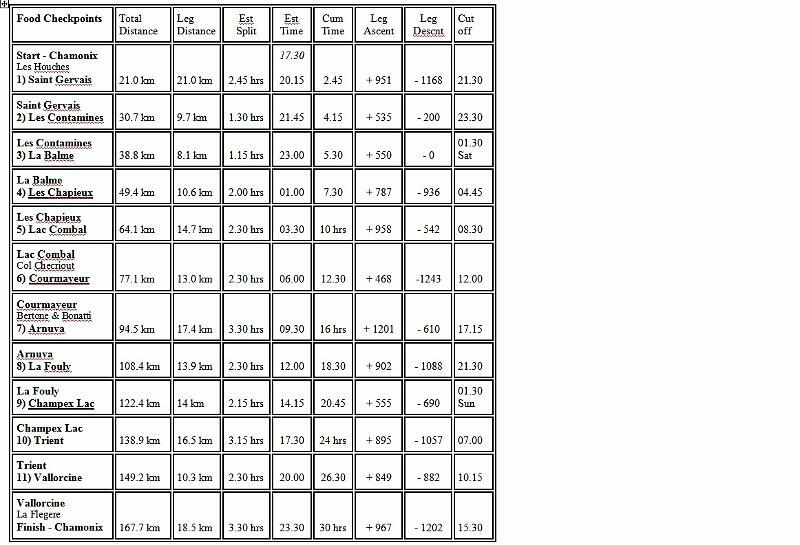 This will help you assess the terrain, the weather, what kit runners wore. * Take spare socks WITH YOU! Nicky suggested from painful experience. * In your preparation, treat any problems before they become a real issue – again the importance of massage and stretching. 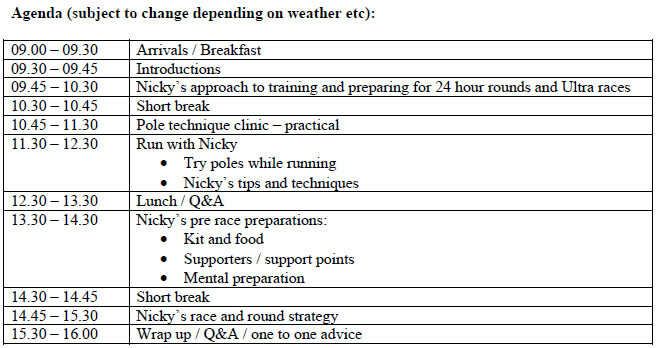 Below you can see an example of Nicky’s ultra preparation. 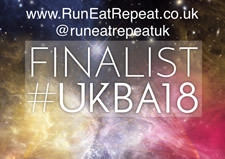 Course profile & key points downloaded, then Nicky develops her own schedule based on the event information, her own pace, research of previous runner schedules vs actuals… Such detailed preparation helps relax her mind – the mental side being a key element in ultra success. This was a real eye-opener for myself and other participants and far exceeded my expectations. A big part of the appeal was the chance to run with a running legend. 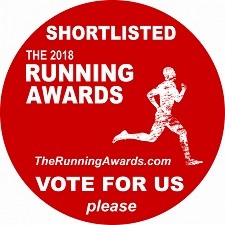 There aren’t many sports where you get the chance to run with true champions and ultra running I’m quickly realising is a very collegiate group of people. What I didn’t expect was some revelations regarding kit and pacing. Lesson 1: Even though Nicky had earlier stated her pace, the point about rehearsing it was really brought home when she showed us her BGR pace. 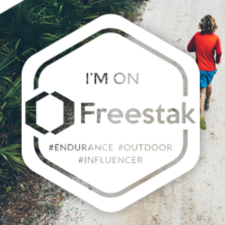 It felt almost too slow – but that’s on a little demo on a local trail which is clearly totally different to maintaining it during an ultra on such varied terrain and profiles. Lesson 1 learned. 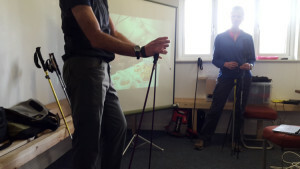 Lesson 2: Running/trekking poles are a revelation. Nicky admitted to her own scepticism of poles before she’d used them later in her running career. I was to later hear precisely the same thing from Graham Patten, former international runner and recent BGR achiever. 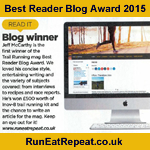 You can read his BGR report here. We were shown the proper technique for using poles by Andy Heading, (Yukon Arctic Ultra winner and race organiser of the Transylvania 100km). Andy demonstrated the double benefit you’d gain from proper and efficient pole technique: (i) Harnesses upper body strength; (ii) saves valuable energy for your legs which you’ll no doubt draw on later into the ultra. 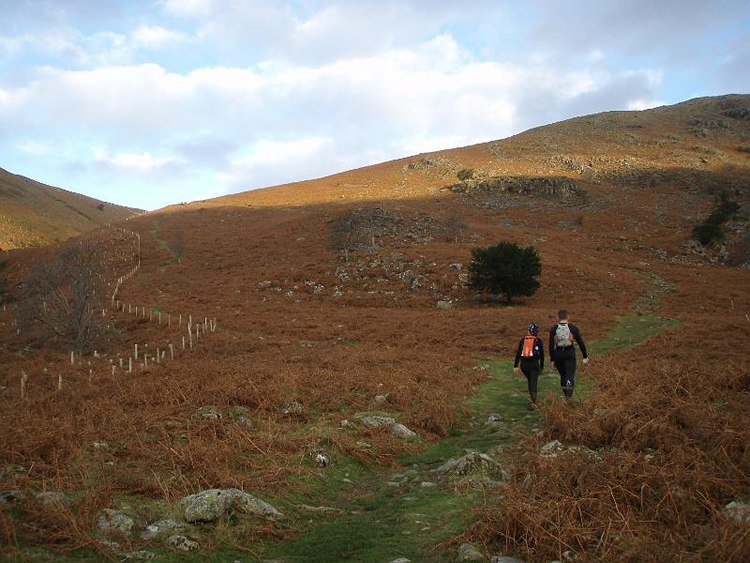 Practically, poles are best for more gradual hills – see image of Nicky above. For very steep, you’ll need to use the ‘hands on knees’ technique. Poles will draw on your upper body strength, particularly your triceps and shoulders. The key however is to stay very relaxed and not to ‘grip’ the pole handles – the straps will do the gripping for you. So relax your hands. On an ultra, Andy also highlighted how they can help compensate for niggles, e.g. a sore knee on a descent, your calf when climbing a hill. Firstly, hand up and through the pole strap so takes pressure off having to grip handle. Secondly, never place the pole ahead of your foot. It should hit the ground in line with the side of your striding foot. Thirdly, use a nice light staccato motion. This really helps your rhythm. 1. Fixed length: To find the right length, you should have a 90 angle of elbow when planted on floor. 2. Telescopic: Stronger and will give you some variety however most people don’t change during run. Lunch was a very healthy buffet and an excellent chance to chat and share experiences with other runners. This really was informative and again a highlight of the day. The afternoon was all about Nicky sharing tips on kit and other key elements of event preparation. * Nicky recommended the same stuff lives in the same pockets – again taking away any unnecessary thinking come ultra day. 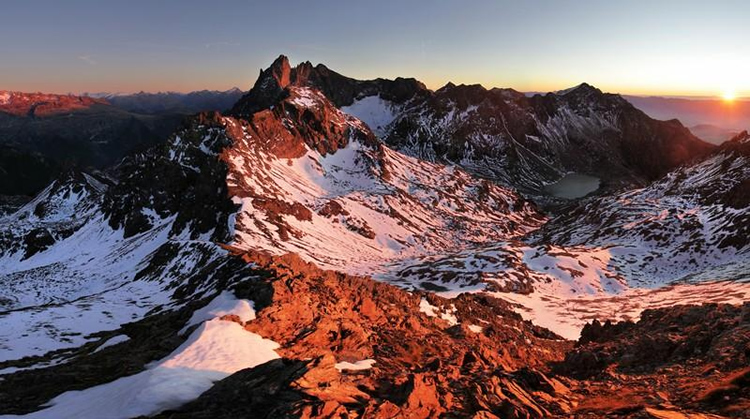 * Know where your poles go – again it becomes automatic. * Go up half a shoe size for the ultra – your feet will need the room. * On multi-day events, you can use a liner sock inside normal socks. Later on you can lose the liner sock to create room as your feet swell. 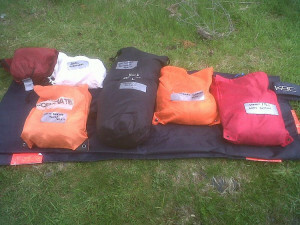 * Consider the weather for what you will put in your drop bag. * Consider carrying a torch in your hand as well as a head torch. Helps with scanning terrain in the dark. * Remember anti-chaffing talcum powder, or cream! * Above all, find what works for you when out on your training runs. Everyone is different. * Gradually get your stomach used to eating small and often, particularly as you begin tapering for ultra. * If it very common to feel pretty bad when tapering – don’t worry. * On the run, get food down you early on. This helps your digestive system work efficiently as you begin the little and often on race day. * Nicky found rice pudding works very well for her. Easy to digest. As Nicky highlighted, this is all important to the undoubted highs and lows you will experience during an ultra or 24 hour round. Remember everything you have done to get to this point and think positively. Remember to stick to your own schedule. DO NOT get well ahead of it as your legs will probably pay for it later. 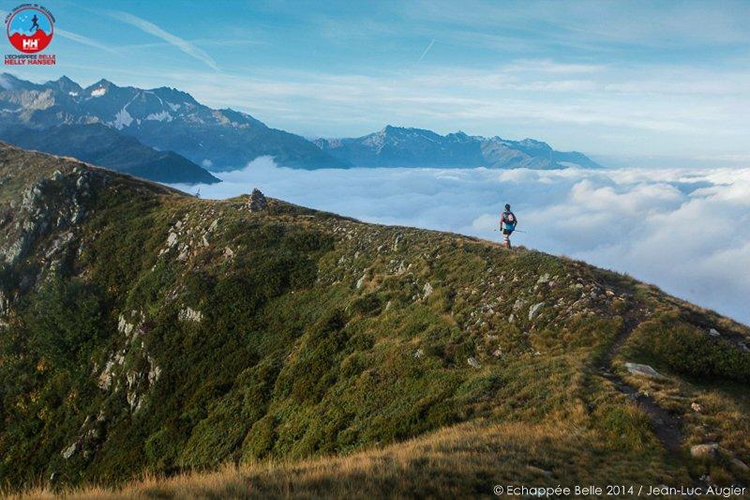 When you hit the lows – and you will on any ultra – find a reason to keep going. This may be family, charity, spectator checkpoint… Your bad spell will pass. Lastly, and very importantly support. For your own on any 24 hour round attempt, have support working in teams, ideally who already know each other. 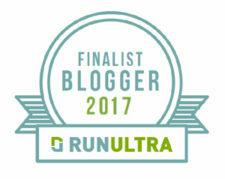 Offer support to other people attempting their round, or in need of pacing where it is allowed on an ultra. Giving something back will mean people do the same for you when you may need it. 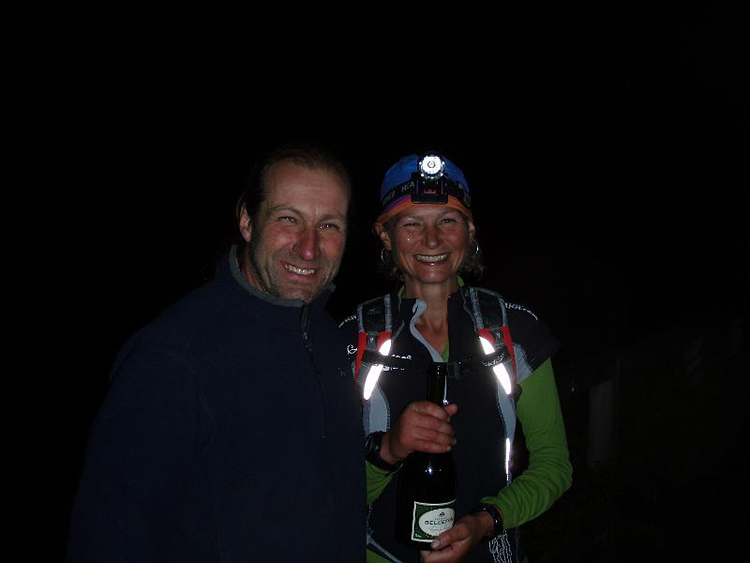 You can read Nicky’s own thoughts on her most recent BGR record here. To book yourself onto Nicky’s next training day 7 November 2015 click here. 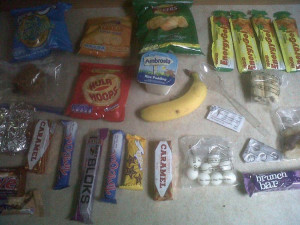 Well I’m still feeling somewhat under-prepared for my first ultra. Nevertheless I now have lots to draw on thanks to the wisdom of Nicky and fellow participants. So I’m practising with poles, enjoying some very early rises for long hilly runs when I’m able. Lyme Disease recovery means some days I’m fine and others I’m very rough so I just have to go with it and not beat myself up if it stops me training. 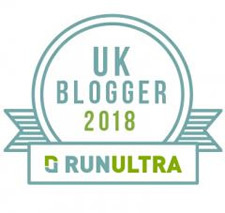 Rapidly approaching is my first ever ultra: the Ultimate Trails 55k – eek! My visualisation techniques start with this video! Nicky touched on pretty much everything you would want to know. She also built in plenty of time and/or opportunity for people to ask questions. So yes, you’d certainly get a chance to discuss training session mileage with her. I’d honestly go again but am booked on a trail running race weekend that Sat & Sun.